To be honest, I hate that I’m writing this article. I feel like I am fueling the hype that is the OnePlus 2. However, I am sure there are many of you out there who have been patiently waiting, blowing up OnePlus 2 forums, asking friends for an invite, following random Twitter handles to RT the promise of a OnePlus 2 invite. Personally, I feel this is unsold inventory because people have moved on from their botched launch, but who knows, perhaps this is OnePlus 2 finally ramping up production since most of its competitors are available in storefronts around the US and the world. No more! 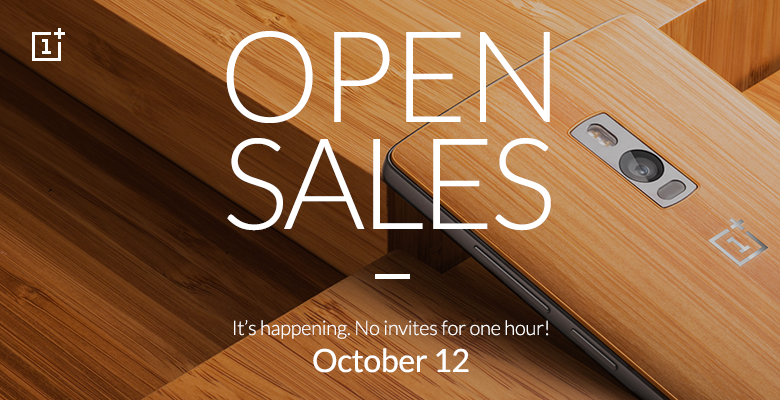 Typical OnePlus style, they are offering their latest flagship for 1 hour only on October 12, from 12:00-1:00 PM PST, for us in Hawaii, that is 9:00-10:00 in the morning. Since there will be a large volume shipment going around the world, don’t expect to get your phone within 1-2 days. OnePlus is warning of delayed shipping due to the large orders they are expecting.